Derby Cycling Group and Derby Mercury Cycle Club send a huge thank you to everyone of the thousands of people who have expressed support for the Derby Multi Sports Arena incorporating the velodrome and concert space. 2. Come to Derby market place at 5.30pm on Monday 21st May to show your support. At 6pm there will be a short ride around the city centre for those on bikes. People from other sports may wish to play their own game on the market place at the same time. Your letters so far have been a largely private correspondence with the council leaders and the above actions are two ways that you can demonstrate your support in a more public and quantifiable way. Your voices have been heard, but so far we have had no reaction. We understand your letters have aggravated some councillors, filling their e-mail in-boxes, and we have been accused of orchestrating the campaign. This is of course simply democracy in action and we are simply surprised and delighted that this project meant so much to so many people that they have CHOSEN to support it. If you are a Facebook user please click on the “like” button above in order to help spread the word. Thanks to all those who have already supported the campaign including past and present world champions. Background: The incoming Labour council administration has opposed the creation of the velodrome in the past and they will decide whether to sign the contracts or not. Originally it was thought that they would decide over the weekend of the 13th May but they have now put off the decision until 23rd May. It is important to keep the pressure on. The out-going council administration (who support the velodrome) has decided not to sign the contracts but to leave it to the Labour group. Please write an e-mail to paul.bayliss@derby.gov.uk ranjit.banwait@derby.gov.uk and martin.repton@derby.gov.uk , the new leader, deputy leader and member for leisure services on the city council. Why do it if you won’t use it? It has already attracted the attention of businesses looking for somewhere to locate factories and offices; it will set Derby apart from the crowd. It will provide a unique concert and sporting venue with the velodrome track above and around the main sports hall/audience arena. Cycle Derby plan to extend their hugely successful projects which get thousands of local youngsters cycling every year into the velodrome. Literally thousands of Derby children take part in BMX and cyclo-cross racing, keeping them fit and healthy, and giving them experience to also use their bikes for transport. They will be use the velodrome as well as part of their school-based activities. Please act now to secure a landmark facility in Derby. To make it easier than asking people to email, can you create a form that does it automatically? People could simply input their name and email address and then hit send. It could send a standard email to both councillors with “[name] supports the velodrome” as the email subject. The easier it is, the more people will support it. It’ll also create a focal point for twitter and Facebook to link to and hopefully show the level of support there is for this project! It is now more important than ever to email your local councillor as on Monday 14th May they will have a FREE VOTE on the future of the Multi Sports Arena. Highlight the benefits to a whole range of sports and fitness, not just cycling. If we don’t act now this project will become just a distant memory in the year of the Olympics and the Olympic Torch coming to Derby. With the loss, some years ago, of the Saffron Lane Velodrome in Leicester, the Midlands were left without a first-class track cycling facility. If the Derby Velodrome project is dropped I think it will be an extremely short-sighted decision by the present council. It will be a boon to the wider community with massive prestige and kudos countrywide. Email / Contact as many as possible as the future of the Multi Sports Arena / Velodrome is in their hands. I have been deeply saddened and indeed angered by the news over the last week about the growing intention of your Party to cancel the construction of the Derby Velodrome project. I have followed the project closely as a life-long resident very close to the site on Pride Park, an enthusiast of British Cycling, and as an employee within the construction industry which lives and breathes on such schemes. It was very warming to see the huge support in the city for the scheme when it was first announced, and equally so the outcry from residents since you suggested the scheme be cancelled. It seems that you ought to be reminded that not only are you elected to serve the electorate of Derby, but that you also used the word growth within your aims for your term in office. Derby is a city that is often overshadowed by our local neighbours, losing businesses and jobs through not being attractive in comparison, yet here we are about to see an incredible opportunity for Derby to grow thrown away by your Party. Growth does not come from being feeble and weak minded, but from investment in areas such as this that encourages regeneration and businesses to come to the city. The association with a sport such as cycling, which Britain leads in world wide competition, will in turn find other businesses wishing to have the same association. Cycling is not a minor sport as some appear to believe. It can’t have escaped your attention that the current holder of the Sports Personality of the Year award is Mark Cavendish, the World Champion cyclist and winner of the Tour de France green jersey, proving the huge popularity of the sport currently. It may also be worth noting that tickets for the velodrome at the London Olympic Games this summer were in more demand than any other sport. Aside from the attraction of major events, sports persons and entertainers to the city Derby will also be promoting its credentials as a cycle-friendly city. I am a regular cyclist, both on road and off, and often commute the 32 mile round trip to work in Alfreton. Derby has many excellent cycling routes that many other cities envy. The rising costs of fuel is seeing more and more people get on their bikes and this scheme can only encourage more to do so. This project will be the undoubted catalyst to growth and regeneration within the city. Recession is a state that occurs due to lack of growth. Investment and confidence within a city encourages further spending and growth and ultimately leads to economic recovery. Your Party stand at a cross road. You can be remembered as the Party that invested in the future of Derby and its residents, developed and built an icon that the city is proud of, welcomed international sport and culture and laid the foundations for economic success. Or, come the next election, you can be forgotten about. This is about more than just the Velodrome it is about the future of all sports in Derby for everyone, young, old, able, disabled now and in the future. It is about engaging with the people of Derby and beyond. Fight not just for the velodrome but also swimming, athletics and more, why should we have outdated worn out facilities that are not fit for purpose in summer let alone winter. Please contact councillors about bringing all our council sports facilities into the 21st century. Having read the article in today’s Telegraph and followed the story regarding the velodrome and sports centre since it was initially proposed, I would urge you to please go ahead with these plans. I semi-understand the financial situation , but Derby really needs something that can only be a positive for our future, in leisure, jobs, and for the local economy. I have often moaned on the Telegraph pages and I’m always vocal about the lack of foresight and vision of you, our councillors, who manage this fair city of Derby. We need to prepare for the future and give our city the true recognition it deserves to draw further investment. The proposed area for the velodrome and sports centre could become a focal point of Derby and, with further development, a leisure centre of excellence for the whole of the Midlands and even beyond. I’m fed up with the City of Derby being labelled as a dump with nothing worthy of note. We’re always put behind Leicester and Nottingham in our region. A Multi-purpose leisure park would put us in front. Although I now live in the west country I remain eager for this kind of development to go ahead in my home town with this opportunity to build a sports and leisure complex with leisure amenities to sustain the work of Cycling Derby and to build on the excitement of this olympic year. I live close to Bristol which boasts being England’s first big cycling city – come on Derby why not become the national showcase for cycling with this iconic velodrome; councillors you MUST vote YES! Some of you may be aware of a campaign to stop the Council doing serious harm to a bird reserve at Pride Park in Derby, called The Sanctuary. You may think we are trying to stop the Velodrome going ahead. I wish to make it clear that in meetings with Derby Council at a most senior level, we have never tried to stop the Velodrome plans going ahead. Because it will be built on a car park just outside the bird reserve, it will have virtually no affect on the ground-nesting species like Skylark, Meadow Pipit, Lapwing or Little Ringed Plover that live there. The idea for placing a 1.5km wide racing track right round the INSIDE of this designated Local Nature Reserve is separate to the velodrome, and would be subject to a separate planning application if the daft idea remains on the table. Not only are we concerned about the harm this plan would do to The Sanctuary bird reserve, but Derby Cycling Group itself has been magnanimous in expressing its own fears over such a potty plan, and the damage it would do to wildlife here. I hope those campaigning to save the velodrome will bear this in mind. We CAN have a multi-sports arena AND a safe haven for some of Derby’s rarest of birds. But I’m sure none of you would want to discover you were riding rough-shod over what was once the most sensitive and valuable of wildlife sites in Derby. It shows some of the unusual birds seen there in the last few weeks, plus a link to the city’s planning documents showing where they think this track could go. And we don’t believe that element of this development should be allowed to go unchallenged. As a Labour voter I hope that those making the decision take into account the long term benefits that a velodrome in Derby will bring to the area. As one of very few East-Midlandlers to have won a World title I am disappointed to learn of the fate of the Derby velodrome… Since the demolition of Saffron Lane (Leicester) the East-Mids is in need of an international level facility to foster up-and-coming riders, and to aid all levels of cyclists. I can only add that had I had a venue such as Derby when I was racing I would have been a far more successful rider… Please support Derby, and please support our sport at all levels. Cheers, Colin Sturgess. Here in Bournemouth, the new outdoor 250 m track is already proving a massive success despite the challenges of the weather. The Olympic profile and more facilities guarantees more riders taking up track. Derby is throwing away a massive opportunity to bring money to the area by re-establishing the East Midlands as a centre for track cycling. We are looking to indoor facilities where our riders, and many many others from all round the country, would come for absolutely top level training and competition. Leicester is dead, breath life back into Derby. Just tried to add my support via email and all three messages bounced back, I assume mail boxes are full! This is a real opportunity to put Derby at the heart of cycling in the Midlands. It will draw in people from all over the country. An investment for the future which is sure to be rewarded. There is widespread support across Leicester for the Derby Velodrome proposal as a primary facility to promote cycling across the region. 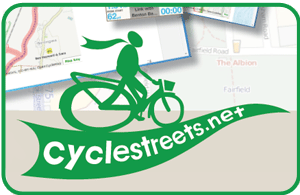 ‘Cycle-Derby’ have an exemplary record in facilitating and inspiring young people to ride. The Velodrome is a key element of their future strategies to help build a cycling and people-friendly city. It’s not just about the bike (or sport cycling) ! From the replies from a couple of Councillors I fear “Party Politics” and the “Blame Game” may be more important than the Sporting Future of Derby and it people. Keep the emails / phone calls going then at least we can say the People of Derby have spoken. I have just sent this mail to the councillors noted in the text above. Please note that my views aren’t the official views of British Cycling. I’m a p/t tutor and p/t coach, paid and volunteer. My club is one of the oldest Go-Ride clubs, Hetton Hawks. Best of luck in keeping the velodrome going. I am very surprised to hear that the Velodrome project is under threat and it seems that in my case, I have heard only just in time in order to register my plea to the incoming Labour group to maintain this project. I urge you all not to make a decision to abandon this project on the narrowest of economic arguments. I coach in the North East and we do not have any type of Velodrome facility. Riders from our region regularly travel to Manchester at considerable expense in time and cost and this in turn limits the development of this aspect of the sport. The irony of being unable to develop what is the most successful part of cycling in terms of the Olympic and World stage for the future makes my argument that in order to continue to enjoy success, with all the benefits this brings, we need to invest for the long term and I would urge you to consider that this is ultimately not a project that should be a political casualty. Derby’s Velodrome would bring a much-needed new facility to help grow the sport and put Derby on the map in this high-profile and thrilling cycling discipline. The economic arguments about inward investment have all been made I see. However, this project is also about how the Council can lead in a time of great uncertainty and show neighbours and the country that you can invest in services and not squander all the effort that has obviously gone into this project. Show commitment and leadership now and the sporting community will support you in turn. I am a keen cyclist with 2 children that also ride and compete at regional and national level. Cycling is a growing sport / pastime in the UK at every level and any new facility of this nature will only serve to further this growth and potentially produce future cycling champions. I urge the labour party to back the new velodrome in Derby as this will help to grow the sport further and provide an important piece of infrastructure for riders within 50-75 miles to train and race. There are at present only a small number of indoor velodromes in the UK and the Manchester facility, in particular, is difficult to access owing to the use by the GB squad, SQT’s, track leagues, and Eastlands Velo dominating the sessions. Riding the track is not just about producing Olympic track champions. Almost all of the current British Team SKY “ROAD” riders have a successful track background (Thomas, Wiggins, Cavendish etc..) as this is the model that the GB squad has discovered to be key in delivering the best Road riders. Also, in order for young riders to develop good leg speed and pedalling technique, the track provides an ideal environment to develop this aspect and this applies to all disciplines: BMX, MTB, Road, Cross and so forth. Indoor tracks are also very important for winter training. In winter, the weather and dark evenings make it difficult for cyclists to train. As soon as there is any ice or snow on the road, any kind of road training or even closed circuit training is out of the question. Indoor velodromes then become very important, enabling riders to train and race with other groups of riders in a safe, warm and guaranteed environment. Please, please, please go ahead and approve the construction of the velodrome in Derby! I haven’t heard yet what the decision was, if it’s been made. If the decision was, or is going to be, in the positive, I applaud your forethought in bringing a top-class, much-needed velodrome to the Midlands where, from what I’ve read, will be well used for it’s many purposes, not just cycling. If however the decision is, or is going to be, in the negative, I just hope you can live with yourselves for denying City of Derby the chance to put itself firmly on the sporting map with this prestige project. Hi Jerrod – Thank you for your e-mail. As you may be aware, the current Velodrome project has stalled under the Conservative and Liberal Democrat administration currently in control of Derby City Council. They have also made it clear that they have no intention of finalising the decision until after the Council AGM on 23rd May. This incompetent handling by the Coalition has put this project in jeopardy when they have had, and still have, a golden opportunity while in power to finalise it if they so desire. The refusal of the Council leader Philip Hickson, and deputy Hilary Jones, to finalise the project while they are still in control, makes it likely that it will now be left to the next administration when it is formed to sort out the messy situation this important project is being left in. Of course there is a huge expectation that it will be Labour in charge after May 23rd, but I must stress that we are not yet in a position to make a legal and constitutional decision until after the administration is formed at the Council AGM. This crucial point has already been made by my fellow councillor Sarah Russell during a recent radio interview. The Labour Group meeting which took place on Monday was an early, and excellent opportunity, to listen to the views of Labour councillors across Derby, especially the newly elected ones who have been lobbied by anxious residents and interested groups from outside of the city, and want to make representations on their behalf. I recognise the regeneration, economic and social benefits projects like the Velodrome can have on our city. In fact, under the previous Labour Government, Derby benefitted from over 2 billion pounds worth of construction opening numerous facilities benefitting jobs, wealth, health, education, recreation and the arts for Derby residents, including news schools, a hospital, and Quad just to name but a few. I am also a keen cyclist as well so have been following the developments of the project with interest, and now with deep anxiety as to how it has been badly mishandled by Conservative and Liberal Democrat councillors in power. Rest assured, given the Labour Group’s strong track record of standing up for Derby on a range of issues in opposition, including most recently successfully saving Children’s Centres and Care Homes, we will do our utmost to make the right decision for Derby when in power during these unprecedented times of cuts imposed by a central government hostile to local government and public services. Please continue to be patient, hopefully just a little bit longer. Once a Labour administration is formed as is likely on May 23rd, officers will be able to freely and fully brief the new administration with all the facts and figures, and soon after a full and comprehensive report will be compiled for a cabinet meeting to be held where the decision will made constitutionally and with transparency. I got exactly the same reply. Any opportunity to score points against the opposing party. Come on Derby, do the right thing for your city! Having written to the councillors and received a response it is evident there are attempts to score political points over this issue. The most effective way to to gain public support and respect will be to make a success of this hugely important project. Sign off the building project and give Derby a venue it can be proud of. Councils are very poor at the moment, isn’t it true that Derby City Council would have to take out a large loan to part finance the project? That doesn’t seem like a good idea in the current climate plus the likelihood of the smaller community sport centres being kept open if the Velodrome is built are slim, which would be a blow to many people. I’m all for projects like this, but in times of prosperity not austerity. But having said that there’s a reason why Velodromes are as rare as Penny Blacks in this country, proportionally there’s just not that much call for them. Thank you for taking an interest in our campaign. I understand the issues of recession, but this sports facility is part of a city council strategy which will see a whole structure of sports centres across the city developed to serve all parts of the community. Two large central facilities (this one and an olympic sized swimming pool) will be supported with several smaller facilities being located in outlying areas (some already exist). It is backed up by a strategy to get more poeple more active more often so it is an important project for the health of the city. Finally, some investment is needed to get the local economy moving, and looking at other velodromes in the country this one will be buzzing with cyclists from all over the contgry all the time, bringing in more money to Derby.